The equipment fitted, described below, DEPENDS ON THE VERSION AND COUNTRY. 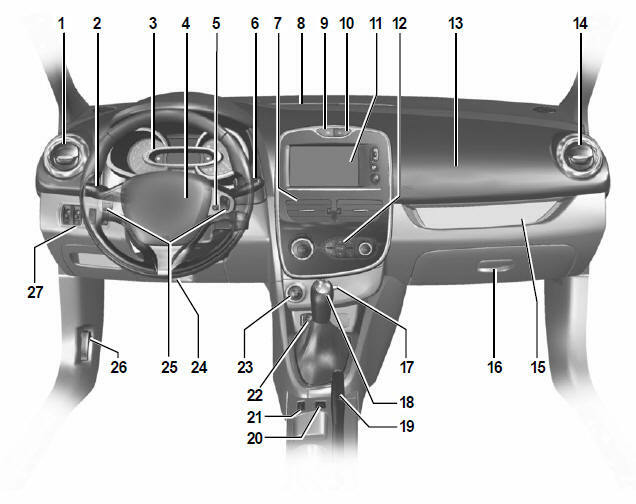 Driver Airbag and horn location. Multimedia system voice control button. trip computer and warning system information readout. Heating or air conditioning controls. Activation/deactivation control for ECO mode. Control for adjusting steering wheel height and reach. activation/deactivation of the function Stop and Start.